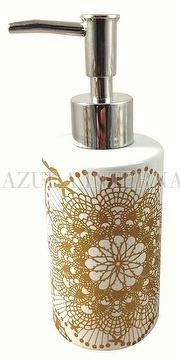 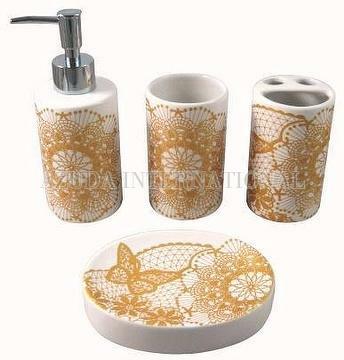 Taiwan Lace Decal Ceramic Bathroom Set | AZUDA INTERNATIONAL LTD. 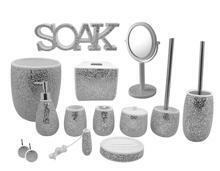 Ceramic bathroom accessories include lotion dispenser, toothbrush holder, tumbler and soap dish. 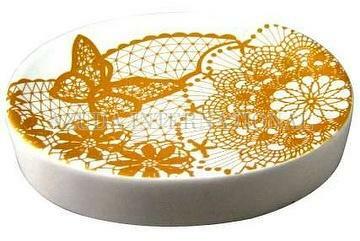 Golden yellow lace decal with white color base. 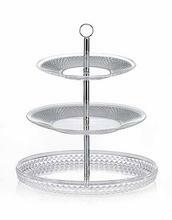 Elegant design fits your delicate indoor decorations.